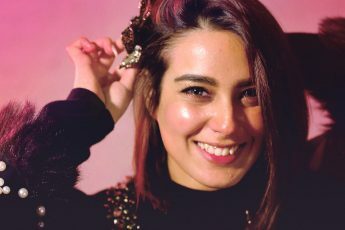 Just a few months ago Khaadi celebrated its 18 birthday paying tribute to women with their song Choo Liya Asman, featuring an all girls band. Keeping up the tradition of bringing their creative best, this mothers day they have come out with another track titled Shukriya to serenade mothers. As the name suggests, Shukriya is about thanking the mother for the infinite roles she plays, the support and love she gives, and the pillar she is for her children. Penned by Sami Khan and produced by Zulfi (of Call) the song captures the emotions in a way that it leaves you with goosebumps. The highs and the lows, the vocals, the words, (Muhhammad Efendi) the sitar, (Farhan Ali) the bass, (Sumera Waris) the tablaa player, everything will move you (I write this while listening to the song). 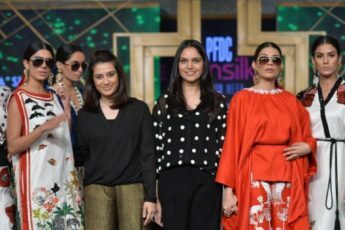 Meesha Shafi, the power house performer along with Anna Salman, Rutaba Yaqub, Parizae Azhar, Sameen Qasim, Fareeha Tariq, Sherry Khattak, Hassan Afridi have managed to pay the perfect tribute to moms. We spoke to Zulfi about the song and the creative process, working with Meesha Shafi and Khaadis role in encouraging young musicians, here is what he had to say,’ I really believe in the power of collaboration and the power of simplicity, because I think simple is the most complex of all complexity, and if we understand the simple, we have the power to connect with everyone. I want the artists to emote and perform so I scouted for a group of 14 very diverse artists, so when you hear the song, you will listen to shades of eastern classical to pop to rock, it has a very traditional touch and at the same time we have the western influence, and the blend isn’t new, but its seamless. The aim was to bring together our own national diversity and blend it effortlessly, so when the drum and the sitar play together, you hear the music as ONE. Working with Meesha was tremendous. She has a very distinct character in her voice and she shines through when she sings. You will be very surprised with the emotional shade coming trough in her voice. We had great fun, we worked a lot on how it should be sung, how the lyrics should be expressed, she really gave it her all and more and emoted the song in a way that exceeded my expectation. Here is the link to Shukriya, guaranteed to leave you teary eyed.